Came across a nice reference for all the DIYers out there. Direct, detailed, and succinct. This guy has it all. Nice. I still have mines just sitting at EAS lol iono when that will get installed. Hopefully this year. It's very messy with Goo-Gone though, so be prepared to spend a little time cleaning it up with rubbing alcohol or something like that. Damn dude you're killing it. Thanks for sharing your progress here. Can anyone tell me how much of a difference the auto vs manual sensitivity is? Will the car be too jumpy with the manual trans version? Glad to hear the ZSP stayed in your family. My son is 8 y/o, way too far from getting his DL. I bet he won't be interested on my ZHP because it's MT. Does it follow the frequency of rotation of the wheels/driveshaft? I would be suspecting a wheel bearing or driveshaft CV joint or center bearing. Question: During what years were the BMW 330 ZHPs available? Answer: The ZHP performance package was available from 2003 to 2006. The sedan was available during the model years of 2003 through 2005. The coupes and convertibles, meanwhile, were available during 2004 through 2006. The last ZHP rolled off the assembly line in August 2006. Question: How many BMW ZHP Performance Packages were ordered/produced? Answer: No one knows. BMW has never published that information. It's believed, though, that the BMW 330 ZHP is fairly rare (and it becomes more rare with each passing day, as attrition takes its toll on ZHP-equipped BMWs -- through wrecks, etc.). Question: What is the ZHP's 0-60 time? Answer: In September 2003, Car and Driver magazine tested the vehicle and reported a 0-60 time of 5.6 seconds. Question: what does the code ZHP stand for? Answer: based on other package names, I'd go with horse power. But Dane, who knows a thing or two about BMWs, thinks it could just as easily be high performance. ZHP=horse power (or high performance) package. Because the ZHP only has 10 more ponies than the standard 330, I have a tough time thinking that it's high performance. Horse power, though? Yes. About ten more horses, thank you very much. Who knows, though. Still, we think it's a logical guess that it's horse power or high performance (after all, it is the performance package, right?). Regardless, we definitely think it's something along those lines. Question: Was the ZHP available outside of the United States? Answer: No. The ZHP package was a United States-only option. But read below for more clarification on whether other countries received the US-equivalent of the ZHP package. Question: What about the BMW 330 vehicles in the United Kingdom that look just like the ZHP-optioned cars that were available in the U.S.? Answer: Those cars were equipped with the M Clubsport package. They looked very similar to the U.S. counterpart, but they did not get any of the engine modifications. It was a purely aesthetic package. The M Clubsport package did shed weight from the car, which brought its overall weight below the U.S. ZHP cars. Question: And what about the BMW 330 vehicles in Canada that look like the ZHP in the United States? Answer: Canada was different. In fact, BMW created the M Performance Package in Canada. It not only got the looks of its US counterpart, it also got the upgraded camshafts and engine tweaks. One thing that it didn't get, though, was the red needles on the instrument cluster. Moreover, the redline is at 6500 RPM, even though the car will rev to 6800 RPM -- just like its US ZHP counterpart. It also got the BMW Performance Package exhaust with the thinner walls (exactly like the one on the ZHP). Therefore, while it was not given the ZHP code name, it's simply a ZHP by another name. Indeed, it was given the option code of ZAM. Question: I know that I've seen other BMW 330 vehicles in Canada that look like the US ZHP and the Canadian M Performance Package. However, they did not get the upgraded engine tweaks. What was that version called? Answer: That's the M-sport package. The M-sport package came standard with 225 HP (like the stock 330) but it got the M-tech II Aero body kit. The M-sport package has the standard 330i thick chrome exhaust tips with the flap inside of the right-side tip. Question: And what about Mexico? 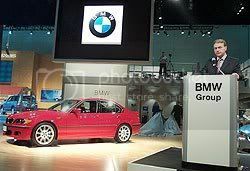 Didn't they produce a BMW that looked exactly like the ZHP in the United States? Answer: Yes. It was called the F1 Package and it was available on the 320i. However, it was the equivalent of the M-sport package found in Canada, which did not get any of the upgraded engine modifications. Question: What is the final-drive ratio on ZHP-optioned cars? Answer: The final-drive ratio for the manual transmission is 3.07, which is shorter than the 2.93 rear end that was available on the standard BMW E46 330. The final-drive ratio for the automatic transmission is 3.64, which is shorter than the 3.38 ratio found in standard E46 330 vehicles. Question: How does the ZHP suspension differ from the normal sport suspension? Answer: The ZHP suspension is the Sport Package suspension with upgraded lower control arms (LCA); the BMW Performance suspension upgrade kit is the same as the ZHP's setup (ZSP + LCAs). Still, there are many different sway bar part numbers -- and none that are ZHP-only. Question: How do the ZHP engine parts differ from the BMW Performance engine upgrade kit? Answer: The ZHP engine upgrade and the BMW Performance upgrade kit are one and the same: hotter cams, oil pump spindle nut, and ECU software (+300 rpm). The ZHP differential ratio is also the same as the BMW Performance differential (3.07 for 6MT). 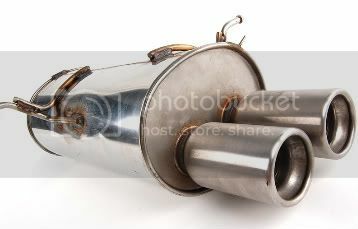 The ZHP, meanwhile, has a rear muffler that is unique -- and different -- from the BMW Performance exhaust kit. Question: It appears that the ZHP package has quite a few BMW Performance parts. What more is needed to have a complete "BMW Performance car?" Answer: The ZHP package would need a BMW Performance intake, strut brace, brake rotors, exhaust, short-throw shifter, shift knob, handbrake handle, pedal kit, black grills, carbon fiber splitters, carbon fiber trunk lip spoiler, and style 269 wheels. In other words, there is still quite a bit more necessary to have a ZHP that's outfitted with all of the BMW Performance parts. Question: Wait, I thought the BMW Performance exhaust system and the BMW Performance Package (ZHP) exhaust system were one and the same. They're not? Answer: they are not. You can see pictures of them below. What's more, they have different part numbers, too. 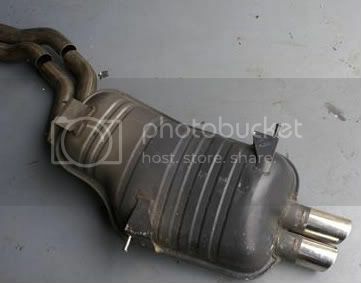 The ZHP exhaust system is part number 18-10-7-919-236 (18107919236) while the BMW Performance system is identified by BMW part number 18-10-0-429-614 (18100429614). As you can see from the pictures, the BMW Performance system is comprised of a muffler and exhaust pipes (we call these two parts the rear section). 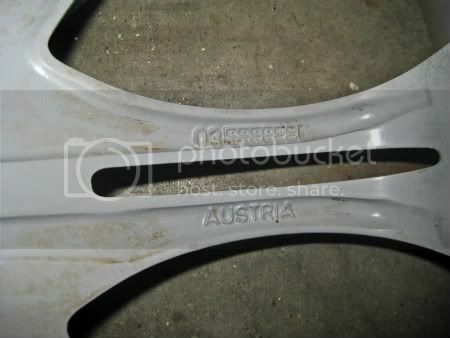 Clamps are also included, so that you can connect the BMW Performance rear section to the factory mid section. Question: Didn't you mention that the SMG was not an available transmission on the ZHP? If that's true, why are there SMG parts available for ZHPs? Answer: It's believed that BMW originally had hopes of offering the ZHP with an SMG transmission. However, something must have changed along the way. Indeed, customers report that they saw SMG as a possible option on the car when they were ordering their ZHP. However, when they tried to order the car with the option, they were told that it was not available. It is not known why BMW never made the SMG available for ZHP owners. However, one can still find a few parts that will enable them to swap their 6-speed manual or automatic transmissions for SMG. There are, in fact, ZHP-specific part numbers for the SMG controller unit and the SMG dash. Question: What is the top speed for the ZHP-optioned car? 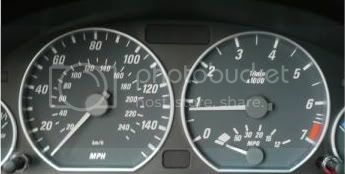 Answer: Because the speed limiter was removed in the 330 ZHP, the top speed is 155 mph. 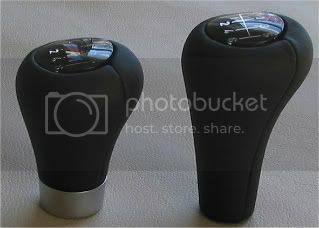 Question: Is the shift knob in the ZHP 330 different than the one found in the standard 330? Answer: Yes. The ZHP got a weighted (and shorter) shift knob that is highly sought after. It's not unusual to see people put ZHP shift knobs on their non-ZHP BMWs. Question: Is the ZHP short shifter the same as the BMW Performance short shifter? Answer: No. Notice the curve and the distance from the ball center on the BMW Performance short shifter. Note that the short shift levers were upgraded for both the ZHP and the BMW Performance at some point. Therefore, you can find two part numbers for each. 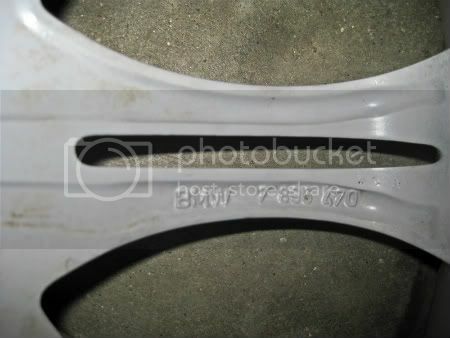 ZHP short-shift lever: 25117543187 (newer); 25117523846 (older). 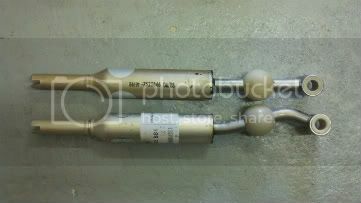 BMW Performance lever: 25117528881 (newer); 25117522917 (older). Question: Did the BMW 330 ZHP come standard with Xenon lights? Answer: No. Xenon lights were an option. Question: I've seen BMW 330i, 330Ci, and 330CiC. What's the difference? Answer: The 330i is the sedan. The 330ci signifies that it's a coupe. And the 330cic means that it's a convertible. Question: Did the ZHP come in the 330xi (the all-wheel drive 330)? Answer: No. It was only available in sedan, coupe, and convertible with rear-wheel drive. Question: Do the kidney grilles on the coupes and convertibles fit the sedan? Answer: No. They are different sizes. The coupes and convertibles have bigger kidney grilles. Therefore, if you're looking to buy kidney grilles, be sure that you get the right one. 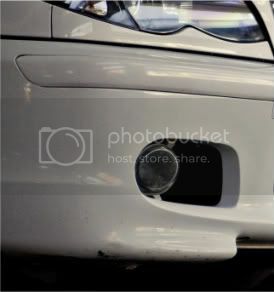 Question: I've noticed that some ZHP-optioned BMWs have reflectors on the front bumper while others do not. Why is that? Answer: That's a good observation. 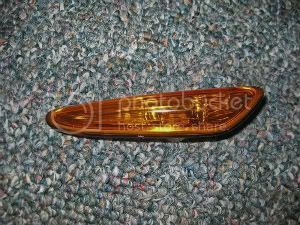 The coupes and convertibles have amber reflectors on the front bumper while the sedan does not. Question: How much oil does my BMW 330 ZHP require? Answer: An oil change, with new filter, calls for 6.9 quarts. Therefore, make sure you buy 7 quarts. Question: how often should I change my oil? Answer: BMW suggests 15,000 miles. Many enthusiasts, however, recommend changing it every 7,500 miles. Question: do ZHPs come with rear fold-down seats? Answer: Actually, the answer doesn't depend on whether it's a ZHP or not. All E46 coupes had fold-down seats (standard). Sedans, meanwhile, only got fold-down seats when the customer ordered the fold-down seats (option code 465) or when they ordered the cold-weather package (ZCW), which provided for fold-down seats as well. Therefore, the 2004-2006 ZHP coupes have fold-down seats. The 2003-2005 ZHP sedans have fold-down seats if the customer ordered them -- either as a standalone option or as part of the cold-weather package. Question: I've seen two different interior-trim styles in the ZHP. Which was standard and which was the option? Answer: The 330 ZHP comes standard with black cube trim. The silver cube trim was the option. And this note: when you look at the black cube trim closely (in person), you'll notice that there is quite a bit of purple color in it. Question: What are the stock sizes for the 135M wheels that come on the ZHP? Answer: They are 18x8 in the front and they are 18x8.5 in the rear. 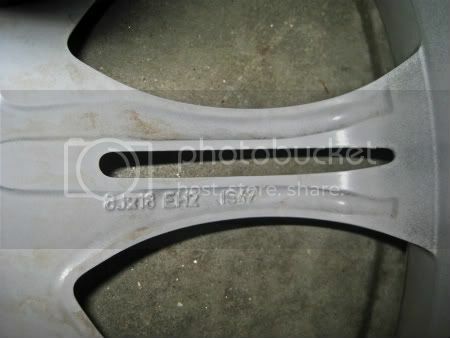 The front wheel's offset is ET47 (named IS47 on the wheel itself). The rear offset is ET50 (named IS50 on the wheel itself). Question: What about the tire sizes? Answer: The OEM setup calls for 225/40/18 in the front and 255/35/18 in the rear. Question: what are the part numbers for the front and rear 135M wheels? 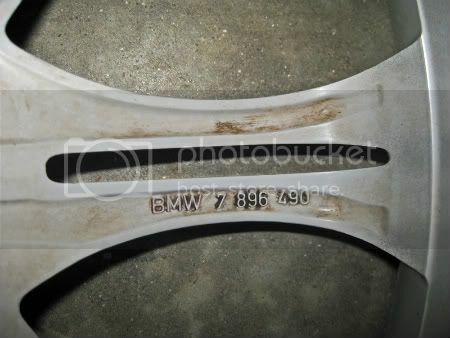 Answer: The front wheel is BMW part number 36117896470. 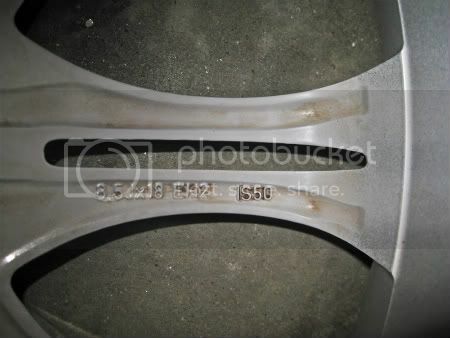 The rear wheel is BMW part number 36117896490. Question: how can I tell a fake 135M wheel from a real one? 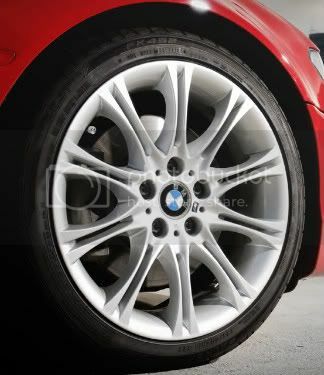 Answer: a real ZHP wheel will have a BMW stamp on the inside (backside) of the spoke. 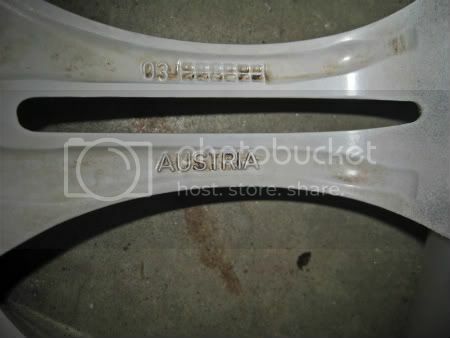 Additionally, it will have the part number stamped on the wheel as well (see previous part numbers). A front 135M wheel will have an offset of IS47 on it, while the rear wheel will have a stamped IS50 on it. See pictures below. Question: Does the ZHP-optioned BMW 330 come with Bluetooth already installed? Answer: Your ZHP will only have Bluetooth if your car was ordered with BMW Assist. If it wasn't, then your car is not equipped with Bluetooth. That said, our cars are pre-wired for Bluetooth capabilities from the factory. Thus, you can make your car Bluetooth enabled by installing the necessary equipment: TCU or ULF, Bluetooth antenna, and a microphone. Plug it in and your car is Bluetooth equipped. Question: How can one tell that a particular BMW E46 330 is a ZHP? Answer: We've already mentioned the interior trim, but other things to look for include: red needles on the instrument cluster (remember, no red needles on the Canadian M performance package), a 6800 RPM redline (remember, the redline is located at 6500 RPM in the Canadian M Performance Package), 135M style wheels, M-tech II body kit, Alcantara seats, Alcantara-clad steering wheel, shadowline window trim (it's high-gloss black on ZHPs), trunk lid spoiler (unless the customer ordered it without; see below), anthracite headliner (looks black), sport seats, etc. Coupes, meanwhile, also had clear turn signals, which could be found on the headlights, sidemarkers and tail lights. 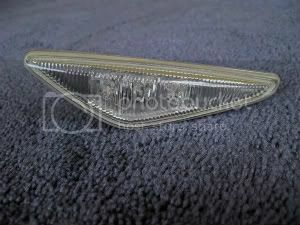 Sedans retained their amber turn signals. Question: So, if the car doesn't have all of those features, it's not a ZHP-optioned 330? Answer: Not necessarily. Customers could order the car with leather seats (option) and a perforated leather-wrapped M steering wheel (option). What's more, during the spring of 2005, BMW stopped putting the Alcantara steering wheels on the ZHP (because of problems with premature wear), which means there are many ZHP-optioned cars on the road today without Alcantara steering wheels. Additionally, while the trunk lid spoiler came standard, there was an option to have it deleted (option code 326). And this side note: some ZHPs, in early 2004, did not come with the trunk lid spoiler (even though customers did not choose option code 326) -- because of a parts shortage. Customers who complained eventually got them installed at the dealer at no cost (covered under warranty). 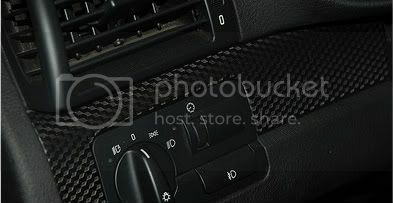 Question: I've noticed that some ZHP-optioned vehicles have black exterior trim that goes around the car. Why is that? Answer: The sedans came with black moulding. The coupes and convertibles came with body-matched trim. That's why you see some cars with the black trim and others without it. Question: How about the sidemarkers? Some are amber (orange) while others are clear. Why? Answer: sedans got amber sidemarkers. The coupes and convertibles, meanwhile, got clear sidemarkers. What's more, the shapes of the sidemarkers are different. See the pictures below for an example. Question: What colors did the ZHP come in? Answer: Imola Red, Mystic Blue, Silverstone, Alpine White, Jet Black, Silver Grey Metallic, Oxford Green, Black Sapphire Metallic, Steel Blue, Steel Gray, Orient Blue, Grey Green, Electric Red, Titanium Silver, Monaco Blue, Sparkling Graphite Metallic, Sonora Metallic, Quartz Blue Metallic, Deep Green Metallic, and Topaz Blue. Question: Is the BMW 330 ZHP special? Answer: Not according to this video.